News, Up-dates, Finds, Features and more. The Storque is Etsy's online zine. 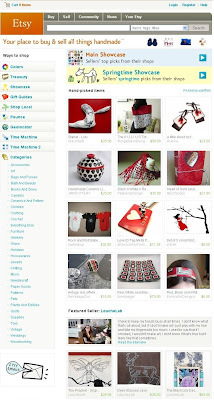 It provides information and announcements for buyers and sellers about the site and the handmade lifestyle. Articles are written by Etsy's staff and members of the Etsy community. It's updated several times daily with new content. Readers can also leave comments on articles. One of the regular feature columns "Etsy Finds" focused on Stripes. 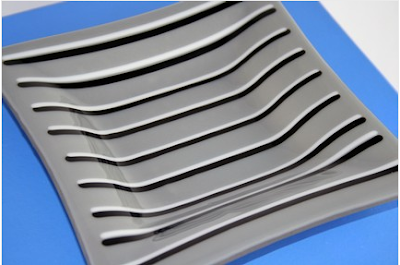 The Minnesota Team is pleased to note that Pinstripe Fused Dish by our own Karen of unblinkingeye DESIGNS was one of the highlighted pieces. and so much more. 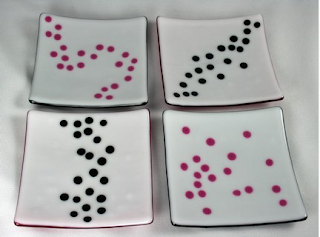 Do visit unblinkingeye and I guarantee you too will be intrigued by the variety of the joyful glasswork. 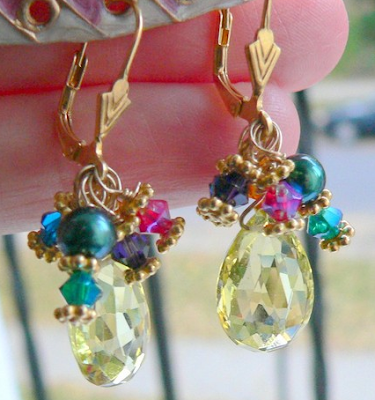 Lemon Drop Earrings crafted by Brenda Senechal of Dancing Gems were featured on Haute Mimi, a blog of fabulous fashion finds. All of us on the Minnesota Team are thrilled to see Brenda's work being highlighted on an international fashion blog. Haute Mimi shared the earrings but not much about Brenda herself, so we will do that here, to give you an idea of the artist behind the joyful jewelry creations at Dancing Gems. Colors and color combinations, delight Brenda and drive her creations. She looks at colors and combinations, then visualizes textures and sparkle and the many possible connections of those elements. Sometimes she is inspired by textures first, and envisions the merging of many or just one or two textures together. Brenda's work is continually evolving and changing as she follows her passion and drive to create. Her fascination has driven her to go further in the ways she can create, and she is currently learning soldering and shaping metal at Minneapolis Community and Technical College in the Jewelry Department and is thrilled. Eventually Brenda will fulfill her dream of creating whatever she is able to imagine. 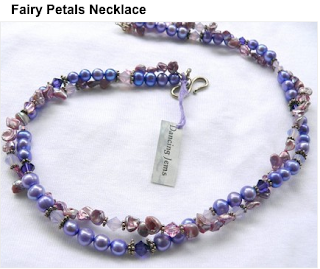 Between building her jewelry making skills, exploring another line and style of jewelry, (as well as a full time job and general life,) Brenda now finds little time to create the style of jewelry found at Dancing Gems. Thus new additions are rare these days. So if you see something at Dancing Gems you really want to own, it may be wise to get it now. ...............if you can describe it, you might get it. Check out “Alchemy” on Etsy, put in a request for bids and one of the amazing Etsy artists or crafters may be your answer. 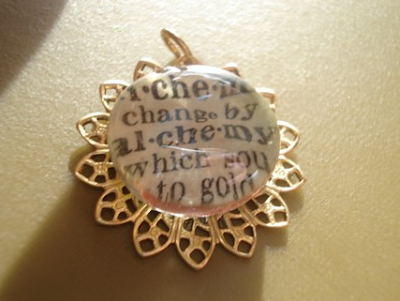 Etsy announced the re-opening of Alchemy on March 12, 2008 in a great article headlined with this fabulous Alchemy Pendant created by Minnesota’s own Sarah, of Creative Sundries. We suggest you try searching existing listings on Etsy first - as your special dream piece may already exist. But when you’ve looked and looked and do not find just the right thing. Try Alchemy, the place to go to request that unique, special to you, one of a kind item. Tam of XO Handworks will be at the Beadbury booth demoing metalwork and soldering. And especially look for her unique handcrafted resin pendants, which are only available in pendant form at this show since usually Larissa makes them into necklaces. 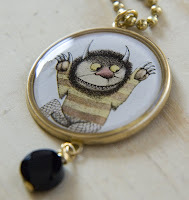 Made the front page of Etsy. It is the middle picture in the last line of featured items. To read about it and see it up close and personal check it out here. While you are there stroll about Drew Jaeger's shop, you will be amazed at the things Drew can do with glass. All beautiful, all functional. The best of both worlds.